Judy Davis Mata obituary. Carnes Funeral Home. Mrs. Judy Davis Mata passed away peacefully at Tuscany Village on Saturday, September 23, 2017 in Pearland, Texas at the age of 71. Judy Carol Davis was born on February 12, 1946 in Texas City, Texas. She graduated from Texas City High School in 1964. She married Manuel Mata Jr. June 1, 1964. She was a devoted employee for the Texas City Sun Newspaper for over 26 years. Her family and friends will always remember her as a hard worker, a "getter done" kind of person, and her super organized ways! They will remember her greatest attribute, that she always put others first. Judy was most passionate about working in her yard, and her many gambling trips to the casino! Judy is preceded in death by her father, Orville Glenn Davis of Racine, Wisconsin. 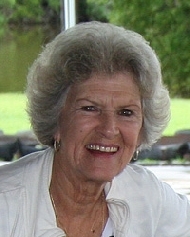 Judy is survived by her mother, Rae Maurice "Ooky" Johnson of Texas City, Texas; husband of 53 years, Manuel Mata Jr. of Texas City, Texas; son, Chris Mata wife Thao Mata, and son Khoi Tran of Dickinson, Texas; and daughter, Michele Mata Ayala and husband Lee Ayala, and son Theron Ayala of Pearland, Texas; sisters, Glyn Houk of Matagorda, Texas and Lisa Jo Nunez of Port Charlotte, Florida; brother, Mike Davis, of Texas City, Texas. A Remembrance Service is set for Saturday, October 14, 2017 at 3:00, with a visitation first at 2:00, at Carnes in Texas City, Texas. All are welcome to attend this casual service to share any thoughts and memories of Judy's wonderful life. In lieu of flowers, please donate to Triumphant Tails at triumphanttails.net or send to P.O. Box 338, Kemah, Texas 77565. This canine rescue is working hard to bounce back after Hurricane Harvey. Judy loved her dogs!!! The Mata/Ayala families would like to personally thank Cecil Barcelo and his awesome staff at Tuscany Village Skilled Nursing And Rehabilitation. Also, Traditions Hospice for all their support, comfort, and compassion.